John McCain's selection for VP, Governor Sarah Palin of Alaska, has raised a number of eyebrows in political circles. Who exactly is this former beauty queen, self-declared hockey Mom of five, with a penchant for hunting and the nickname Sarah Barracuda? 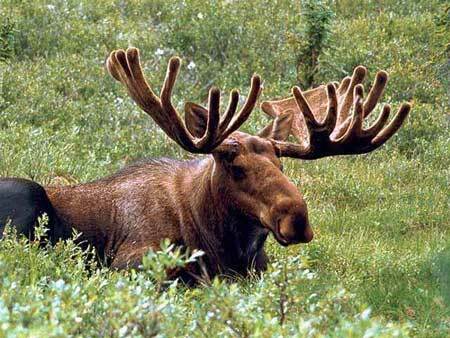 But those in American foodie circles have raised a question all their own: What the heck is a moose-burger? Governor Palin has already copped to the moose-burger being one of her favorite foods. Yet, an online search didn't turn up much by way of delicious descriptions. Guessing Palin will be on Today or GMA next week sharing her own personal recipe for this supposed Alaskan classic. Until then, this rather bizarre sounding one will hafta do.